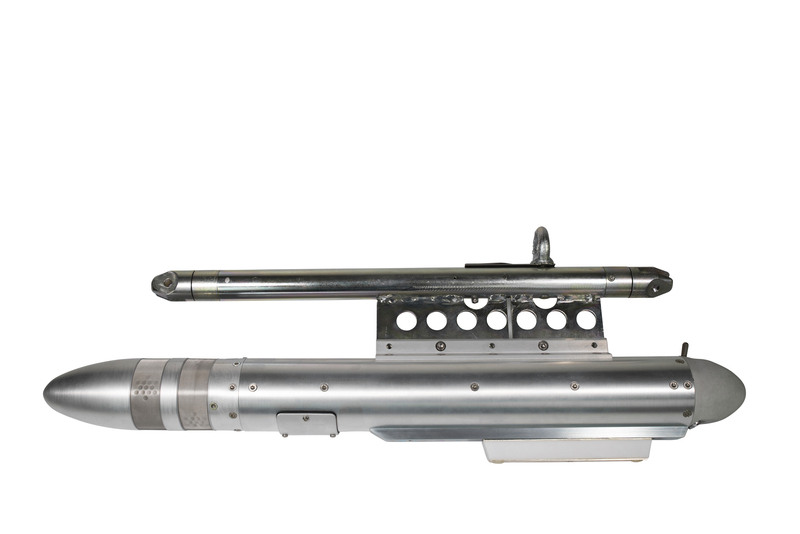 The AS-131 for sleeve targets is a universal 12-sector miss distance indicator (MDI) is designed for simultaneous indication of miss distance and the angular position in 12 sectors of a passing supersonic projectile. The MDI is a universal type, i.e. 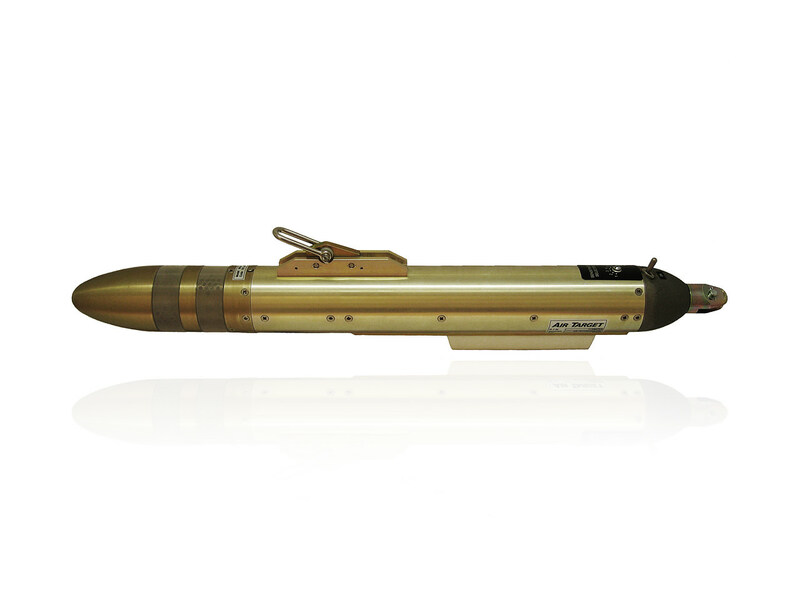 it handles all target courses relative the firing gun or missile, i.e. all types of attacking and passing courses. The MDI consists of a microphone nose containing six pressure sensors, and a cylindrical body containing the electronics, the transmitter, and a rechargeable NIMH accumulator. The miss distance indicator AS-131 detects acoustically the shock wave generated by the passing supersonic projectile. The miss distance is determined by the amplitude of the shock wave while the angular position is determined from the hit order between the different pressure sensors in the MDI nose. The miss distance and the angular position of the projectiles are measured in real time and the data is transmitted as raw data signals via the special designed transmitter to the scoring station. Since raw data is used, all calculations are made in the scoring station. A recalculation of the scoring result, with later more accurate parameters, can easily be made in the scoring station for further improved accuracy. The AS-131/TB can be equipped with a range of tow line connections in order to facilitate connection to most target towing systems. The uplink command receiver is used for changing the miss distance indicator (MDI) identity, down link frequency and MDI measuring sensitivity. The commands are transmitted from the uplink command unit UCU-1. The UCU-1 is normally operated from ground. 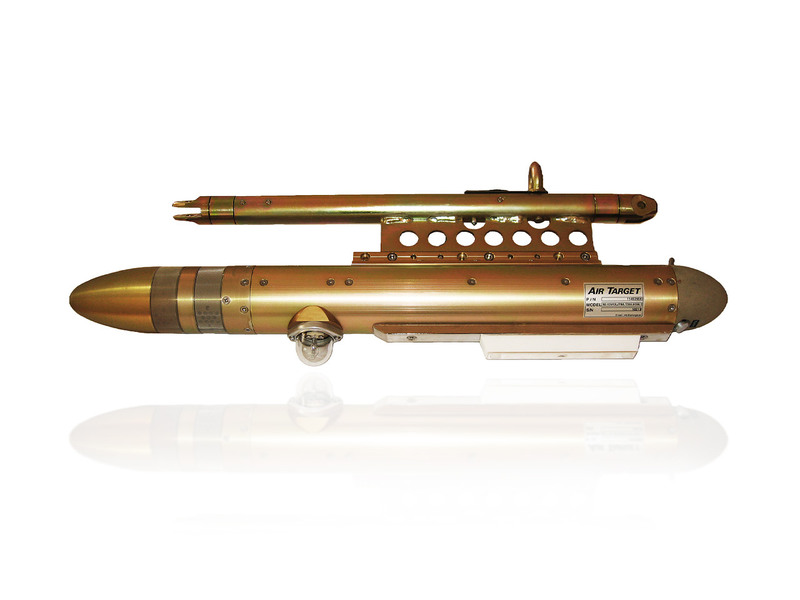 The possibility to communicate with the MDI is important in the multi target situation and when different calibers are used during the same mission. The miss distance indicator consists of a microphone nose containing six pressure sensors, and a cylindrical body containing the electronics, i.e transmitter, uplink receiver, 20 W lamp, and a rechargeable NIMH accumulator. Do you have any questions about MDI:s for sleeve targets, contact us. Air Target Sweden is a renowned scoring specialist since 1958. Its acoustical scoring products have been delivered to customers in more than 30 countries all over the world. We have a complete range of scoring products including MDI’s, scoring stations, test equipment, sleeve targets and inboard target towing winches.